John Hampson Simpson was born in Birmingham in 1901, the fifth of eight children. Hampson’s childhood was a difficult one: the collapse of his father’s business reduced the family to near poverty, and his own weak health prevented him from attending school and receiving a formal education. After the First World War, young Hampson worked at a variety of jobs, including as a waiter at a London hotel and assisting at his sister’s pub, both of which experiences he draws on in Saturday Night at the Greyhound. In 1925, Hampson obtained a post as tutor to a mentally disabled boy, and the relative stability of the job allowed him to take up writing in his free time. Virginia Woolf believed Hampson’s first novel, Go Seek a Stranger, to be his best, but it was rejected for publication because of its frank homosexual content and remains unpublished. 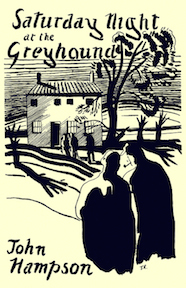 Instead, in February 1931, Woolf and her husband Leonard’s Hogarth Press issued Saturday Night at the Greyhound, which was a surprise hit, being declared a bestseller by the Observer two days after publication and running into three printings in eight days. It was quickly translated into French and in 1937 became one of the first successful Penguin paperbacks. Though revived for 1950 and 1986 reprints, Hampson’s best-known novel has been out of print for many years and has fallen somewhat into obscurity. Hampson’s later novels, though respectfully reviewed, were less successful commercially. These included O Providence (1932), another Hogarth release, and a trio of novels published by Heinemann, of which Strip Jack Naked (1934) is perhaps the best known. In the 1930s, Hampson was a leading figure in the “Birmingham Group”, which also included Walter Allen and Leslie Halward, and he counted Forrest Reid, Graham Greene, and W. H. Auden among his literary friends. Hampson’s final novel A Bag of Stones (1952), a psychological study of how a boy’s horrific childhood leads to the murder of his father, was well reviewed and was championed by the influential publisher John Lehmann. 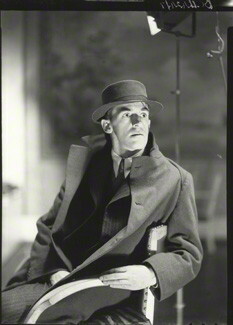 Hampson died in 1955.